Being a mother is no less than a car ride. And I'm going to take you all through this journey of a lifetime, and my personal experience through this blog post. Planning a baby is a lot like planning to buy a new car. 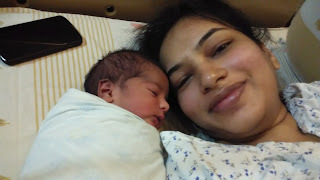 There is a lot of thinking, you take the decision along with your spouse, there is a hell lot of excitement for the baby (or car) to arrive after months of waiting (40 weeks for a baby and a few weeks for your pre-booked car). There is a lot of nervousness too, whether you will be able to take care of your baby (or the car's maintenance); if you are financially stable for this new addition to your family (even a car is a part of our family after all). In all, I really think that these beautiful few days or weeks or months give life some Navigation, a starting point, a green flag, that embarks us on a beautiful journey towards our ultimate destination. In no time, that day is finally here, when your baby (or car) is to arrive. The process is rather painful, I had to personally go through a c-section to get my baby in this world so I know. Even when the car arrives, it's painful to empty your wallets/pockets/bank balance. But all the wait, all the endurance, all the pain is totally worth it, and then my friend, there is Love At First Sight. Your perfect, beautiful baby (or car) is finally here! Congratulations and celebrations! Unconditional Love. This emotion has a very strong Impact on a person. If you love someone (or something) unconditionally, you can go to any extent or do anything at all for them (or it). Especially if it's your first car (much like a first child), or if you bought one after years of saving or when you get a kid after years of waiting. For instance you start staying up all nights to console your crying baby, you sacrifice your career ambitions for them, or you give up your perfect body and happily accept the stretch marks, you always put your baby's needs before yours. Similarly, when you love your car, you will see to it that you park it safely, cover it to protect from bad weather, clean it daily and make it spark and shine (just like you would bathe your baby daily). If your baby is ill or a vaccination is due, you will run to the doctor. If your car is having issues or a service is due, you'll run to the garage/mechanic. The first thing you would get done once things settle down is get a medical insurance (or a car insurance) so that you have the peace of mind. When your baby is hungry you'll feed it milk right-away, when your car is hungry you'll feed it fuel at the next gas station! And Oh! don't we all love showing off our adorable li'l baby or our Peppy new car? Your baby's giggles will feel like Music to the ears. Your new car's strong engine's throttle and the sound of it racing will feel the same. You will not want to go anywhere without your baby (or your car), and the two of you will be simply inseparable. The best part is, if you have both a baby and a new car, the two of them will become best friends and the journey will be absolutely Fantastico and completely memorable for all of you! From dropping your kiddo to school in the car, to going out for a family picnic and also to taking road trips and vacations together, the beautiful journey called Life will be worth every ounce of pain or rupee spent. The day my baby arrived in this world! 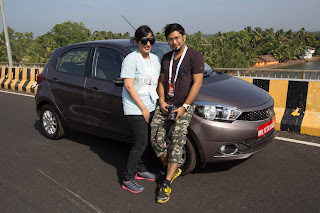 The day I went for a ride in the Zica! P.N. I am not making any serious comparison between my baby and a car, of-course I love my baby unconditionally and nothing ever can come close, but this was just a fun attempt to show the love I would have for my brand new Zica! IskiUski is one of the online foremost jewellery shop in india with the latest jewellery design in Gold, Diamond, Silver. We offer wide range of diamond earrings sale from various famous designers. vastu things for home is considered one of the basic requirements while constructing a property or building according to pre-specified principles. It is necessary to follow these principles for wealth, health, fame and prosperity in life. Though it has become difficult to follow each and every principle in the present era, it is important to make maximum use of tenets in order to achieve peace and harmony in life.